This giveaway is now closed. The winner was #189 Marla! Hello friends! I’m here in the lovely province of Ontario enjoying time with my family…my parents, my brother and sister and their spouses and kids. Yesterday we went to the pumpkin patch but the weather decided not to cooperate unfortunately. We got a little wet but it was still fun. And then later in the day my daddy took me to Kernels Popcorn to satisfy a craving I get every time I’m here. I absolutely die for the cheesy caramel Chicago combination. Oh my so good! When I’d eaten half of a large bag I told my mom she’d better hide the rest on me before I ate the entire thing. Now I can’t stop thinking about it. So I’ve got another Menu Plan Monday resources giveaway for you this week. Judging from the response to the last menu planning giveaway I get the impression that many of you are definitely looking for a little more help in this area. Believe me when I say there are a ton of menu planning resources out there available to you. They are all a little bit different in some way in what they have to offer. The trick of course is narrowing down the list to find the one that meets YOUR needs. I hope these introductions help your individual search. Menu in a Box Online Meal Planning is a subscription membership site created by a Mom for busy families to make meal planning simple. Everything you need is right there in your membership, from meal planning tools, meal planning pdf. downloads, recipes, how-to tips, kids activities to get them started with cooking and baking, birthday and lunchbox planning, nutrition tips and plenty of inspiration. You can create your own shopping list for a month or simply print off already created menus for all your meal planning! From weeknight, monthly, special occasions, special diets and many more menus for your meal planing! No need for time-consuming meal planning anymore! 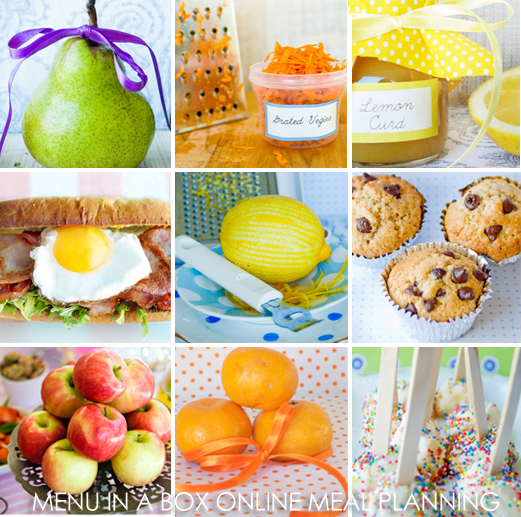 Menu In A Box is meal planning made simple! So, what does a yearly $120 subscription to Menu In A Box Online Meal Planing give you? * For starters, there is access to hundreds of healthy budget friendly, family and kid favorite recipes including budget friendly, celebrations, dairy & egg free, for baby & toddler, freezer friendly, gluten free, kid friendly, low fat, lunchbox, no sugar, nut free, quick & easy, vegetarian and much more! * Instructions on how to create your own meal plans, plus print recipes & generate a shopping list in minutes. * Tutorials on cooking basics, time-saving techniques, entertaining tips, birthday parties ideas, baking methods and techniques, and kitchen safety guidelines. * A section to inspire your kids to get in the kitchen and create + downloadable educational activities that help to teach your kids to meal plan and develop healthy habits from a young age. * 3 best seller e-books including 200 Weeknight Dinners E-Book 40 weeks worth of weeknight dinner meal planning done for you! * Everything you need to know about kitchen organizing that will save you time and money. To win a ONE YEAR Menu in a Box Online Meal Planning subscription (valued at $120.00) all you have to do is leave a comment on this post telling me what it would mean to you and your family and/or the area of menu planning you could use the most help (ie: selecting recipes, cooking, follow through, time, etc..). The giveaway will close on Friday, October 29th at 12:00 pm PST. *Open to everyone* Good luck! It would help me greatly with recipe selection. Have a blast at Blissdom! Thanks for hosting another great MPM! The meal planning would be wonderful. The meal planning kit would be a lifesaver for me. I am gluten intolerant and either end up making two meals half the time, or not being able to eat a good portion of what I cook for the rest of the family. I would love to find GF recipes that the whole family will enjoy! Thanks for MPM – I’m inspired every week to try something new, and stay on top of the menu planning here at home. I always welcome new recipe ideas! But I also like the idea of having educational activities to use while having the kids help in the kitchen! menu planning is a must for me… other wise my family of seven does not eat dinner at the table. this tool would put me one step closer to stream lining the process and the printable grocery list kinda rocks!!! A year of meal-planning healthy meals would be a great time-saver! Sounds like you are already having a great time minus the conference, and to end the week with homemade chinese food… yum! My biggest struggle is staying within my budget! I would love some more help with menu planning!! Have a great time at Blissdom!!!!! This meal planner would be a life-saver! I work 50+ hours a week and help to care for a couple of my grandkids two nights a week. I’m not the best planner, but I realize how much time and money I would save if I preplanned meals. This would really help me in staying organized and making healthy meals for my family. The meal plan subscription sounds like a great giveaway! For me, it would offer a sort of curriculum for teaching my youngest daughter to meal plan – she’s 17 now and starting to look ahead to being on her own, and I’d like her to have this sort of knowledge under her belt. That sounds awesome. It would help me in many areas…budget, love trying new healthy recipes, and would love to have my kiddos help me in the kitchen more! I love to menu plan. With a hubby, three kids of my own, 1 live in college student, and our youth group…food plays a large part in our life. We are always looking for new recipes and ways to streamline dinner time cooking so we can enjoy more time around the table. I would love to win this! I do plan our meals now, but I could certainly use some new recipes. I also need to be more organized…we both work and with my long commute, I need some meals that I have prepared ahead or are quick to finish up once my son and I arrive home. My husband has late nights a lot, so meals that warm up for him are essential. i would love help with meal planning as we are now wheat, dairy, egg, tomato, yeast (and a few more) free! some of our family favorite recipes can no longer be made – and i love getting inspired by other mums out there in all their meal planning endeavours! thanks for doing this give-away and for all the info you blog about!! It would help me with planning and getting meals cooked while taking care of four girls, ages 6, 4, 2, and 2 months, and a husband!!! I think I’m finally getting a menu plan that ALMOST works for my family where I rotate our favorite meals. Almost being the keyword. I would love more ideas! Thanks for the giveaway. I LOVE Kernels! There’s one right down the street from one of my jobs and I may or may not go there weekly. My favorite? Cheesy dill. I may have to try the Chicago now though. I love getting my kids involved in the kitchen, so any recipes that can make that happen would be fabulous! Thanks for the giveaway! I could use help with all steps of menu planning. 🙂 I’d say the most difficult part for me is following through with the plan. I am in need of more recipes. Getting kind of bored with my usual dishes. I can always use more tips on efficiency in the kitchen as well. I desperately need something like this. I need help figuring out the best way to organize the recipes that we love and planning for the week and knowing what to buy is huge as well!! menu planning would save me time and money. I am not very good at it right now so this kit would help tremendously, especially since I have a new baby! Gosh, it would mean we might eat more than just five or six different meals! It’s so hard to either remember an ingredient, remember that you HAVE that ingredient, remember to MAKE the meal and be on track when six o’clock suddenly whacks me in the back of the head to tell me IT’S TIME! We can only eat so much pasta, yanno? I really need help planning healthy meals. I am totally lost! The menu planning subscription would be a life-saver for me! Currently I am living the life of a single mom with 3 incredibly active children. Trying to get them to their various activities and still have a healthy meal on the table has proven to be an incredibly difficult task! I would LOVE to have this subscription. Money’s really tight right now and we are always looking for ways to plan our meals to fit in my son’s gluten free dishes. My daughter helps me in the kitchen a lot and my 10 year old daughter is learning to help out also. Both my husband and I work outside of the home (me just part-time because we home-school also). I’m always looking for better ways to organize, plan and be frugal and still have a great meal! Thanks again for the link up. Have a great time at the Blissdom Canada conference. It would help me so much with menu planning. It seems I’m always stopping at the grocery store to pick something up to make for dinner. It’s a bad habit and one I truly would like to break. I need help! For me getting new recipe ideas would be very helpful and the menu planning portion of it. I have such a hard time with that. I would love the recipe selection and the printable grocery lists! The variety would be wonderful…we tend to get into a rut. Also, we are eating at home more these days and planning your menu, grocery list and having everything on-hand helps a great deal to stay on track. I could really use help with some more basic recipes! I seem to make the same stuff all the time or my new recipes take to much time to prepare! I could use the most help in selecting side dishes. That always seems to be the hardest for me. I am always looking for ideas for meal time. Dinner is always on time, and 99% not take out, but I have a problem with planning meals ahead of time, maybe this would help. I have never done a structured meal plan. I am excited about this giveaway to get me started! My MPM post is up. Winning this giveaway would really help me in selecting new recipes. I am in a rut with what I fix, and need some new recipes!! Going to be honest.. I start out with great intentions and then the whole part of getting it together, deciding, follow through etc I fall short at. End up just making what I find that day. Not how I want to but truth. Thanks for this giveaway!! I would love to win this! Menu planning is still a bit of a struggle for me so I could use all the help I can get. It definately is nice when I have a plan. I would love to win this because I need help in every area!! I’m at stay at home mom to a busy toddler. My husband has two jobs so he keeps pretty busy and can only be home a few nights a week for dinner. I quickly get bored with cooking the same stuff and need new ideas. 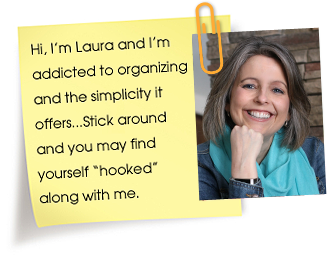 I also need frugal and simple ideas because as a whole, we are just a busy family! I would love to win Menu in A box! I definitely need help with follow through- I’m the type where I have to be in the mood for something and if it’s the last menu option left to make and I don’t want it- I end up eating out. Or sometimes I get tired of making the menu/grocery list and I purposely don’t plan all of my meals- which ends up with me eating out! HELP! This would be a great help! I started menu planning about a month ago! Started organizing all my recipes-spent 3 weekends on it. That’s as far as I got. It seems so overwhelming. It would be such a big help to reduce my shopping bills if I had some clue at where to start and have all my ingediants in one spot. In addition, I live with 3 very PICKY eaters and it makes menu planning very tricky. This would be a tremendous help in adding variety to our weekly meals. I have been working with my daughter to teach her the importance of fruits and vegtables-this would help us reinforce it more! Our family would greatly benefit from this!!!!!!! I would love to win this! It would leave me a ton of free time to spend with my kids and actually focus on them instead of what’s for supper for the upcoming weeks. It would also give us lots of new ideas, I’m sure. Thanks for hosting! I was scrolling through and you caught me at HEALTHY!!! This site sounds wonderful. It would help with choosing healthy recipes for my family! I work full time so I try to make the best of the time I have with my daughter. I typically only have about 2-3 hours with her each evening before she goes to bed. This price would be such a lifesaver. I would be able to feed her good meals and feed myself too. I would then be able to utilize most of my time loving and playing with my sweet daughter. Thank you so much for the opportunity to win! I love any resource that has printables and new recipe ideas! I’m at a lose sometimes and end up making the same things again and again. Another source for recipes would be nice. PS: Just in case anyone is interested, I’m posting a step-by-step sandwich bread baking tutorial, complete with pictures, tomorrow. If you have ever thought about making your own bread, but are nervous about how to do it, this is a great opportunity to learn. I don’t know what it is about menu planning. Every week it is something I intend to do, and every week I don’t do it. As a result, we eat the same boring meals, I never have the right ingredients on hand, and we resort to eating out more often than we should. Need proof, there’s something wrong with me? I’ve subscribed to your site for probably six months and I read it faithfully (love it! ), yet I have not once in those six months followed through and planned a week of meals. Clearly there is something wrong with me. Help, I need this! I would love this service, not only for the simplicity of it, but for the change…I find myself actually cooking the same things over and over again. Recipe selection would help me change it up and also to experiment with different foods and cooking methods. And, all of that is healthy! I would absolutely love this service. I am running out of good recipes and the time it would save me would be absolutely awesome! Thanks for the offer. I’m still trying to get the hang of this meal planning. It’s not as easy as it may sound, as I’m sure you all know. For me, it is making sure that the recipes have some ingredients in common, but not having super similar dinners all week. The added source for recipes would be great! I love that the recipes are already there, and that it allows you to create a shopping list on the spot. I feel like this is my achilis heel of menu planning. I’ve tried other programs, but having to upload or manually enter recipes is not enticing. I also think this program would encourage me to come up with/try new recipes more! I’d love to win. Thanks! This sound amazing!!! It would help me so much. I’m a busy mom of 4 kids 4 and under and feel like I get in a rut with the same old same old recipes. Thanks for the chance to win. I would love to use this service. I always struggle with a good and healthy meal plan. It would help me follow through, giving me more time with my kids and less time worrying about what’s for dinner. I recently went back to work outside the home and winning the meal-planning service would help me and my family tremendously. I need ideas, grocery lists and quick references for kids to help as much as possible while mom is gone! we are dairy free here so i would love the recipes! also, i have two young kids so any help i can get with meal planning and grocery shopping is great! I would love the help with the ideas and planning. I work full time, have a two and a half year old active little girl and a husband who was hurt on the job and is not currently working due to his pain! I spend the most time searching for interesting recipes, so that’s where I could use the most help. It makes it difficult because I have one vegetarian son, a diabetic husband, a daughter (and me) who are gluten-free, a son who hates vegetables, and a son who eats anything and everything. Is it any wonder why it takes me so long to plan the meals? Ugh. Thanks for the giveaway chance and for hosting Menu Plan Mondays. Have a great week! I have a 3 year old and 6 month old. I feel like I still can’t handle everything being a stay at home mom of 2 kids. A 1yr subscription to Menu in a Box would give me some much needed relief in that area of my domestic life. It would be GREAT! I would love the recipes and the 200 weeknight meals – my meal planning is getting pretty dull and I need to expand my options! I would LOVE to win this. It would greatly help in so many ways! * We could avoid the boxed stuff we tend to prepare on those nights where we just can’t get home in time. * I can only imagine how much it would save on my budget and how much better we’d all feel. So many of my meals tend to be either the same things…or the new ones I find are too time consuming. I am not a creative meal planner so to have new tried and true recipes would be so awesome. To have something laid out for me that all I have to do is follow…wonderful! It would be a great help to me – I need help with planning and definitely with follow through. Hope you have a great week! This is a wonderful opportunity to learn! It would me a lot to me to win the Menu Planning in a box!!! I’m a mother of a two year old and a 6 month old, and have a husband who works out of town, and is gone for 3 to 4 weeks at a time (so pretty much a single mom), anything to help with my menu planning for healthy, hearty meals for my children would be great and save me so much time and money! I think it would really help me with organization. We are moving to a new home and we will finally have a second freezer. I’ve never done meal planning as I’ve never had the room for it. I’ve been reading up on things but honestly don’t fully know where to start. I coupon so I would like to use what I already own vs having to buy extra ingredients that aren’t on sale. I think this site might be the place to go for all of that. I am always looking for some new meal ideas that my boys will eat. We are a very busy family so this would help! HOW FUN, ANOTHER GIVEAWAY! I WOULD JUST LOVE MORE IDEAS AND MORE RECIPES! AND HAVING A PLAN TO GO WITH WHAT I AM PLANNING ALREADY! GOOD LUCK EVERYONE ON THE GIVE-A-WAY! I would love to win this awesome subscription because I have to feed my family AND a home daycare full of kiddies. It gets boring to cook the same old things and I could use the inspiration! Thanks for hosting this fabulous contest. I could definitely use help in just choosing recipes. I have a handful of tried and true, but they are getting a bit old too. Thanks for the giveaway! I have recently been told that I have to eat gluten, corn, and soy free. It sounds like this subscription would help find receipes and plan menus that would fit around my new needs. This giveaway would mean that maybe, just maybe, I wouldn’t be completely gray by the time I am 33! Dude. I would love to win this. Seriously. I do meal planning now. My husband is gluten intolerant, so we are always looking for more GF recipes. Plus, we are all big eaters at our house. I spen so much time in the kitchen. Thanks so much for the opportunity to win. I would LOVE the menu ideas! I have a very hard time coming up with good ones, and a variety of them! I would love to have some help in the kitchen prepare healthy recipes. I am a great cook, but unfortunately don ‘t really cook healthy menus. It would be a great help for us to become healthier. Would love help cooking healthier for my family. Thanks. Sounds like this site has so much to offer. The thing I like most about it is it sounds very organized. Right now I spend a lot of time looking for recipes, writing out my menu, and then creating my grocery lists. This sounds like it helps me do all the steps in one place! Meal planning kit would help us drop fast food meals… we dont plan ahead of time now and time gets away from us and we resort to fast food to get something in our bellies before bedtime. if we won kit we would have healthier options at our fingertips. You have no idea how much this would change my life! I have two Elementary age children and an almost one year old. My husband and I are constantly tag teaming around dinner time. I would love for us to just sit around the table and eat and talk like we used to before the baby arrived. I think planning ahead, and preparing dinner while the older kids are at school would help. I need help organizing a shopping list, and fixing things everyone will eat! HELP! I think this would really help my family. Getting my kids involved would be a big thing. The other thing would be to have it all laid out so hubby would see what I am trying to do and “buy into” the whole weekly thing. He comes from a long line of skinny men, so he does not care what he eats. But my genetics aren’t so kind, and I don’t want my girls to grow up without the knowledge of good meal planning. I could really use some help in the meal planning dept!! I have good intentions, but don’t always follow through, so this would help tremendously! this would help me stay organzied and come up with new recipes easier!! Thanks! Any type of menu planning would help with my hectic crazy 60 hour work week. Let alone my husband working full time as well. I never have the energy to sit down and plan a menu, shopping list, and then go buy all the stuff. So I find myself in a bind every stinking day at 530 in the morning going, WHAT AM I GOING TO MAKE FOR DINNER! Before I have even eaten breakfast! I just started on trying to use coupons again and makeing a monthly menu for shopping. Winning this could really help make things easier. We adopted our 3 grandchildren last year and have seen a big drop in our finances. We home school our eldest (ADHD ). We work part time to pay our increased bills and grocery costs. Thank you for the help. It would really help me with the organization and recipe selection. I seem to routinely cook old standards and that gets boring to cook and eat;) What a great giveaway! Looking forward to seeing everybody’s menus for the week. Also, check out mine because I’m running a contest to win a brand-new kosher cookbook! I would love to have this! I always have good intentions of sitting down and planning menus but it just doesnt’ happen. I get overwhelmed way too easily and just give up and up eating junk food! The meal planning kit would hopefully have me cooking more and eating out less. I think to win this I might be able to stay on a better food budget with less waste. I know planing meals at the begining of the week is a good thing but I never take the time to do…..I am pretty good about winging it but would love to be a bit more oragainzed! Menu planning is something I have stuggled with for years. I always have good intentions, but I just cannot get it together and get it done so that it works efficiently for us. PLEASE HELP ME! It would definitely help me with recipe selection. Especially for finding recipes that my toddler would like. I need help finding healthy recipies that my whole family (adults and kids) will like. Preferably recipies will lots of fruits and vegetables incorporated. I need help with planning out meals and streamlining them for quick fixes. I have nearly 7 children (due in 9 weeks) and winning this would mean a lot to us. It would help make my duties easier so I can spend more time with the kids and less time worrying about the cooking side of homemaking. I find it actually assists me in several areas when I meal plan! The most valuable areas are time and money (have a list and stick to it). I also would love to have the recipes; as that is my struggle with planning on my own. It would be great to help me with new ideas instead of the same old things I cook every week. I think having help organizing my menu would be great help. I am awful at Menu Planning. I do it. But I struggle through it. I cook like a champ, but I welcome any and all ease with menu planning. I really hope to win this giveaway! How awesome is this giveaway! I need quick, easy to assemble meals, things that could be ready in minutes for our busy schedule! I would love to win this….with four kids we are So busy with their activities and grab on the go way to often…this will help me get more organized!! I would love to win this subscription, but I would actually offer it to my parents or to my brother & sister-in-law! My parents have a crazy schedule, as well as one of my brothers & SIL plus two preschoolers living on the second floor. They have kids’ activities to schedule and plan meals around (and sometimes take food as well), my dad & brother have to pack their meals on the road, and they often have large crowds over for meals…sometimes unexpectedly! They could definitely benefit from this. On the other hand, my other brother & SIL have two older kids, a tight budget, and multiple health considerations. Then there’s me… If I win a subscription, I may have to buy two more! This would be such a big help…..need lots of help with recipe selection! We moved across the country one year ago, and I feel like I’m still getting settled. I haven’t really settled into a good routine. A menu planning tool would help me get our meals (and food budget) under control – and hopefully inspire me to tackle some other yet-to-be-organized parts of our home and daily schedule. It would help me with my SANITY! 🙂 I have been trying to work on meal planning forever with little success. I always find myself scrambling at the last min. on what to cook which leads to unnecessary trips to the store, wasted money and time not to mention not the healthiest choices. The hardest part of the day with me and my 2 little ones is from nap until dinner time. I hope that the subscription would help me with that part of my day….give me some sanity back and better quality time to spend with my kids! More time with my family, less stress and more time to enjoy the things I love doing! We need help planning meals that the kids and adults will eat that take into account special dietary concerns. Too often the kids won’t eat the same thing as the adults, and no planning means too many trips to the store. Wow what a great resource and what a generous giveaway! I would love help for more meal ideas (especially gluten free) and I would love having ideas for getting kids cooking in the kitchen. Thank you for the chance! With 10 family members and a NON-organized Momma, meal planning is always a challenge and a struggle. I’m always perusing blogs, websites, etc. for ideas on expanding our repertoire. I would love to have any help I could, but could not afford to pay. This would be a great treat for me, as I’m sure for all the women here. Count me in on the chance to win!! It would give me great ideas to change up my dinner ideas so my children won’t get bored. I definitely need help selecting recipes. Too often I get stuck in a dinner rut and only make the same things and I would like to be able to prepare different meals that taste good but don’t take up too much time. I know if I can accomplish this then my family will be healthier for it because we will eat out less and eat better foods at home instead of resorting to Kraft Dinner, etc. This would be good timing as well because we are going to be adding another member to our family in January and I feel like if I don’t get a routine started now I will struggle alot more with this after. With three kids (one being a newborn) I need help w menu and time saving ideas. I would love to win this as it would help in so many areas. I work FT and I’m new to menu planning and having a hard time getting started and then sticking to it. The variety of recipes is also a really big YAY!! I’ve got my finger crossed!!! Managing my time in the kitchen. I never take into account how much prep work takes. And also how much to cook. Oh, what I wouldn’t give to win this subscription 🙂 I struggle every week at menu planning – I feel like I make the same thing over and over and over. The new ideas would definitely be the best part about this plan. We’re excepting our 1st baby in a few months and this would help a lot with saving time and sanity when planning menus for dinner. I hope I win! I’m getting better at menu planning, but convincing my handsome man to eat healthy is killing me. We split cooking duties, and he almost always opts for steak & taters or something fried. I need help getting some yummy & healthy meals included in the regular plan. Trying to switch over to being vegetarians but when we can’t think of anything to have for dinner and are both tired it always unhealthy and almost always has meat in it too! Finding some more meatless meals that we both enjoy would make this process easier and faster and would mean we are not stuck with pancakes for dinner AGAIN because we are to tired! 🙂 Thank you so much for your website! It would be great just to have another recipe resource. I need help with putting all the recipe items into one shopping list. So happy to find your website. A friend refered me to review “gluten free” recipes and resources. I have been following an almost gluten free plan for about a month and finding out how easy it is to lose weight, feel better and make great dishes using primarily veggies. This change in lifestyle is for better health and fitness but exposing my husband and I to new foods, recipes and a new way of organizing or planning the portions of each food type on the plate is bringing great success. Glad to have found your site. I would love to win this prize b/c I really need direction in planning meals and estimating how much would be consumed. I either underpurchase and not have enough, or I overpurchase (typically), and end up wasting food. I feel guilty for wasting all that food that could have gone to feeding my family. I think this will really help! I need more help with follow through and the initial planning. We get tired of the same old thing, but then trying new things doesn’t seem to do much better. I would LOVE to win this! I have 3 kids at 3 very different stages and lots of after school activities. I work outside the hiome also and the follow thru seems to be the problem. I try to plan but when everyone is starved the minute you walk in the door it is hard. Thanks and I try to use your blog to help me every week. I need some kind of plan. I’m so unorganized! I am so burnt out on cooking ideas, I would love the one year subscription!!!!!! I do pretty good with dinner menu planning but stink at lunch and breakfast menu planning. This would be great for those two meals. i am good at throwing dinner together pretty quickly on the fly, but i prefer to be organized. I need some more recipes. And i need help with timing. I am so off with that. At the moment my biggest issue with menu planning is time or should I say the lack of it. I currently flick through cookbooks and magazines looking for “different” meals as I want us to have a variety each week. Having everything on hand when I sit down and start to menu plan would be a blessing. A year of meal planning would be awesome working full time with twins! This is a great idea!! I would love to be able to stay on a budget plus have some new recipes to try. my husband and i have been through quite a busy season. we found ourselves at our wits end last night….he was ready to go stay in a hotel because we feel like we have lost ourselves and our love in the busyness of life. i can’t remember the last time the two of us SAT DOWN at the dinner table to share a meal together. menu planning is one way i feel i can serve my husband and honor God in the calling He has given me as a wife. your blog has served as a huge encouragement and tool in helping me be more proactive and intentional about scheduling dinners ahead of time so we can spend more quality time together. i would be delighted to win this subscription!!! thank you sincerely, for the chance. and although menus may seem trivial–they can make a HUGE difference. Wow! What a great giveaway! I’m relatively new to menu planning, so this would really help me with ideas and planning. Sometimes I feel overwhelmed at the idea of planning things out for a week, so this would really help give me some direction in addition to your site. I am challenged when it comes to getting my kids involved in the kitchen. I would love to have some things to inspire me and get them cooking. Also I would love to have ideas for healthier and simpler snacks for my kids. I need help picking recipes AND planning. Knowing what to buy at the store that I can use for several nights meals. I wrote about this Meme and i joined this afternoon. I am surprised that I can’t see my link. Oh well, good thing I was still able to catch up with my time. I am new to your Meme and I followed you. The Menu in a Box Meal Planning sounds great. I don’t mind cooking, its the planning that gets old really fast. I’d love to have some new ideas, menus, recipes and organizational tips. My kids love to cook and bake, I just wish I was better at it so I would be more apt to get them in the kitchen on a regular basis. I want it to be fun for them, but I’m usually rushing around and behind schedule, and thats not fun. Thanks for this opportunity, I really enjoy your blog. It would mean a great deal to me to win this as my husband and I both work two jobs and have very little evening time to make meals. Planning would allow us to still eat healthy and save money, too. Just having recipes all in one spot would be great! I also love that I coud print off my shopping list too! With 3 girls from 7 yrs to 7 months, I could sure use any help I can get! My husband passed away two years ago. Since he died, my kids and I eat pretty much every single night. I know that it’s terrible for us budget-wise and health-wise as it’s often someplace with a drive-thru. I want to regain control in this area of our lives desperately. I constantly feel guilty about the quality of the food I am feeding my children but just can’t seem to get out of this rut. I think something like this would go such a long way in helping us get back on the right dietary track again. This would greatly help me with recipe selection and being organized, which right now I am not! WOW! This giveaway would make my work week SO much LESS stressful! I would actually have a plan in advance that I could use during the week. All the photos for the menu in a box products look amazing! I’d be curious to see how many vegetarian recipes/plans they include. Most menu-planning meta-sites are pretty low on vegetarian fare. I would love to meal plan. Cutting down on my grocery bill would be a great help. Meal planning would be great for me. I need motivation for pre-meal prep. Meal planning has already helped our family so much–I can’t imagine if I had a service that I could utilize to do it! We would be so blessed! Thanks for a great giveaway. I was thrilled to see it would include gluten free meal ideas! I was just diagnosed with Celiac Disease in July and am still struggling with coming up with some great new meal ideas for my family. Thanks for the help!! What a great giveaway! This would help so much in saving time and spending more time with my son and soon to be new baby. I feel like it takes me too long weekly to find recipes and make a grocery list. When the new baby comes, I am afraid I will have NO time to menu plan. Having 4 kids ranging from 3 mths to 16 yrs I have very little time to do a good job with meal planning. It is very important to me to feed them healthy but flavorful meals and it would be great to have it “spelled out” for me so I can concentrate on them instead of stressingout about what to make for dinner. Thank you for a great website! Wow! What a GREAT giveaway. If I would win I could share the recipies with my daughter. We both like to experiment with new recipies and foods. I would like to be more organized and plan ahead instead of just that day. I need some help to do this. I work part time in the evening (4-8pm) right over our dinner time. I don’t get to eat with my family and I have to have dinner prepared before I leave for work. I waste a lot of time every other day going to the grocery store to pick up something I need to make dinner. My daughter and my husband just started planning out a simple meal plan for the week. Those weeks run much smoother — but when they don’t plan I am starting from scratch each day. I waste a lot of time at the store. If I win I would save myself a lot of time – time I could be organizing my house and spending time with my kids. thanks! I need help on the planning side and the execution. I wish I had a more cohesive plan so I didn’t spend so much time cooking everyday. Happy Dad & Mom = Happy kids. I need help with the overall menu/shopping plan. I shop nearly everyday because something is always forgotten. Time, follow through, & my mental health!!!! I could really use some help deciding on a menu…. and pretty much everything else related to menu planning. All I know is when I actually do have dinner on the table in a timely manner, our whole household runs smoother. Could totally use this service. wow! this would be so fantastic for my family…i am new to meal planning and have two small children and usually end up making three or four trips to the grocery store a week because i decide at the last minute what we’re having for dinner! I NEED HELP! I definetly need help getting organized when it comes to meal planning. I need help with picking recipes and shopping lists. I have the biggest problem with follow through. I forget to grab a needed ingredient for a certain dinner and end up throwing something else together last minute! We are moving to a new home on Friday, and I have always struggled with organizing meal plans, so this would be very helpful. I have found the great need to menu plan. It is the time I have issues with and some times choosing recipes is difficult. OMG this would be amazing for me! I used to be the one cooking every night, but I just started a new work schedule. DH and I are still ironing out the finer points of life with me working late! Menu in a box would help me with follow thru and actually getting prepared so food ends up on teh table and we can eat together. A friend and I cook once a month and this would be a great tool for our planning. I think this could save us a lot of time and money. A meal planning kit was so very helpful. I work outside the home and often find myself now knowing what to make for supper. I am also always looking for new recipes so the membership would be very helpful. The Menu in a Box would probably save my sanity. We are dairy-free and egg-free and I can never find ONE place to go for inspiration or tasty food. I spend about 2 hours a week planning our meals between reading the magazines we get and reading various websites. Menu planning is completely overwhelming for me right now. Actually, a lot of things are and I think this might just be the place for me to start to regain control in my life. I am a single mom with 3 young kids, a 5 year old, a 3 year old, and an 8 day old. I’m employed full time and in school full time, and due to my husbands very unexpected death 4 months ago, I have to go back to work the week after next. So I’ll be juggling a lot of things on my plate. The subscription to the menu planning service would enable me to free up more time to spend with my kids, and would help me feed my kids home cooked meals instead of giving in to the drive-thru temptation I fall for when heading home after a long day with no idea what to cook for dinner! As I am due any day with our third child, meal planning would definitely make life a little easier in a very hectic and busy life. Thanks for the giveaway. I am a mom of 4 and a college student – some recent life events have made it important for me to finish up my degree and go back to work. So I am tackling 6 courses a semester for the next year and a half. This would help me out by making meal planning one less thing I have to do and leave me more time for my family and my studies. I have two young children and busy days. Both my husband and I are struggling to eat healthy and lose weight. We want to make sure that our children have a good relationship with food and do not have to fight this same battle that we struggle with. I think having family sit down dinners is extremely important to achieve this goal. This can be a challenge with all of our busy schedules. This would help me so much with meal planning! I am constantly trying to figure out healthy meals for my family, including a picky toddler, and would love some great new ideas. This would mean a great deal to me as I have 22 month old twins and a just turned 4 year old and meal planning is so needed in my house yet something I am struggling so much with…finding the time and recipes and getting it all together. This would greatly help my family and I right now as we’re getting ready for #3. I love cooking, but it’d be great to have a little help with recipe selecting and menu planning! I just found your site and just before that Meal in a box!! I am a mother of 4 two grown or at least one grown one in college and two little ones both of which have Down syndrome and are the world to me. I started a Ds support group in our area and besides being ADHD… I am completely challenged when it comes to meals, planning and being prepared! Most of the time playing with my little girls both in educational and fun ways… I also visit many new parents who don’t realize just yet they have been blessed with a beautiful child, even if it isn’t the life they planned or expected. We are a one income family and I have a wonderful husband who works double shifts often so that our family benefits from my being able to stay home. Although don’t often splurge on luxury such as meal in a box I was really wavering !!! However if winning a year subscription would be a blessing not just to me but to my family! I hope I make it in the posting as I only had a couple of minutes to spare and really am suppose to be on my way to the little girls school. I love volunteering and helping making teachers lives a little easier as well as adapting the curriculum to better educate those with SN. I love you site and have already cleaned some good ideas! I would love this! With two kids under 2, I am always trying to menu plan but I am not consistent with it. I’d love to do it every week. I would love the recipe ideas! I feel like we eat the same things over and over. And help with shopping lists. I always seem to leave something off my list and get annoyed and have to go back to the store.